Tommy Hance had one final request. 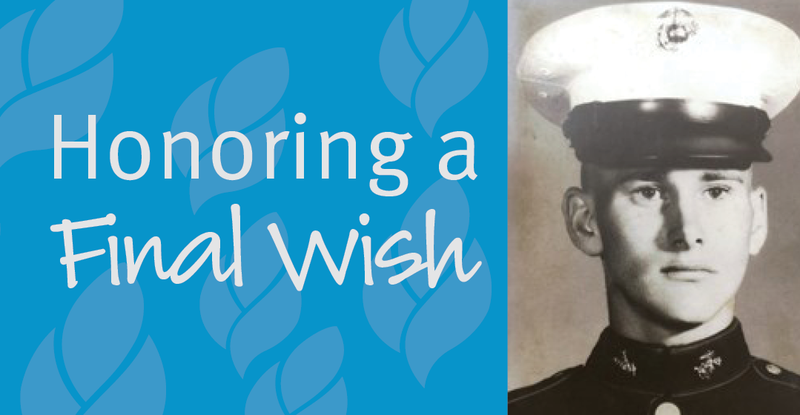 He wanted to be buried in the Marine dress blue uniform of his service to his country. And he was. Tommy is described by his sisters as gentle, intelligent, an excellent cook, a lover of classical music and opera. He had a great sense of humor and loved starting and growing his own vegetables from seed. He loved books and hated owing anyone a debt. Respectful of others and a fighter to the end. For the last ten years, Tommy had been caring for his aging mother. Then came what was believed to be a bad cold and cough that turned out instead to be a cancer diagnosis. Tommy attended Stivers High School and had enlisted in the Marines at age 17, believing he could make a difference. The oldest of five children, Tommy trained at Camp Lejeune and then shipped off to Vietnam. Tommy was called “Rocket Man” by his platoon. Small in stature, Tommy was tasked with carrying a rocket launcher on his back, the first to blaze the trail through rice paddies. 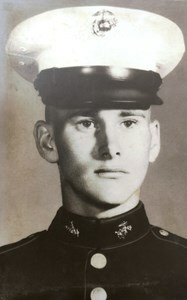 He was, his sisters say, “proud to be a Marine, but not proud of what he had to do.” Tommy was exposed to Agent Orange and returned home a victim of PTSD. His military experience left many marks. When he returned to Dayton, Tommy earned a certificate in heating and air conditioning from Sinclair Community College. He worked a variety of jobs, loved working on cars and was a talented mechanic. When his father passed away, Tommy moved back home and assumed responsibility for caring for his mother. Over the months of Tommy’s treatment for cancer, he spent hours talking and laughing with family and friends. He told them he wished he still had his Marine dress blues so he could be buried in the uniform that made him feel proud. They shared the story with his caregivers at Ohio’s Hospice of Dayton, who promptly went to work to ensure his final request could be fulfilled. Working with the VA and Wright Patterson Air Force Base, hospice staff made arrangements for a uniform of appropriate size to be shipped overnight. Tommy Hance got his final wish, once again a proud Marine, handsome in his formal dress blues.